Got chilly legs? We know how to warm them up, in high style. It’s no secret that the key to dressing kids is layering, and that goes double if you have the kind of child who only wants to wear summer clothing, all year round. Leggings are the answer! There are a multitude of styles available at Her and I, with some out of this world choices that I guarantee you won’t pick up in many other places! Designer and creator Camille McDermott actually works fulltime and creates leggings in her downtime, and so to keep creative control over her company she only fulfils a limited number of orders every month. Nevertheless, you’ll be staggered at the variety of leggings on offer in her store. 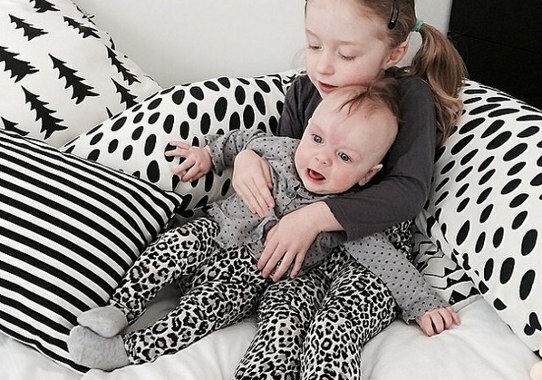 There is everything from faux snakeskin to polka dots and florals here, and there’s good news for all the mummas out there with a thing for leggings – they come in adult sizes too. The leggings are available in sizes from zero to 10 for children, and in adult sizes six to 12. Prices are variable, according to fabric choice and size, but begin at $39.95. You can see the whole range at Her and I.